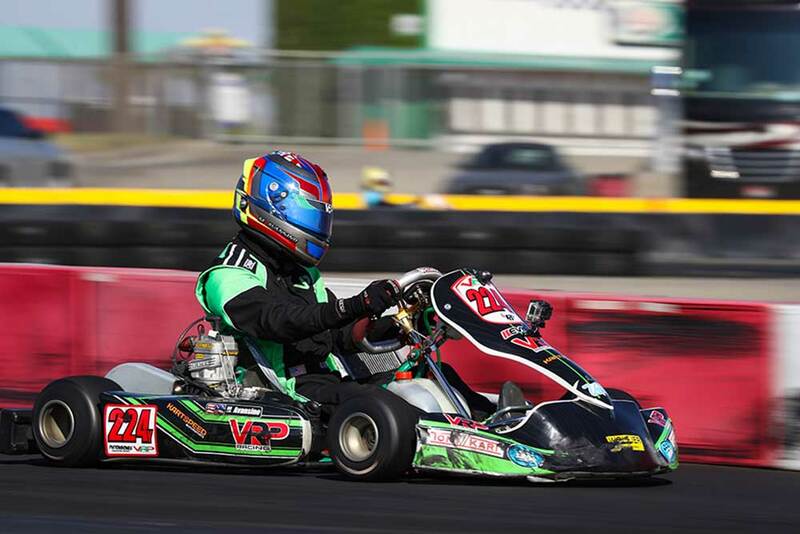 It was an action-packed day in the Formula Works/CompKart X30 Senior division, hosting 26 drivers. It began with qualifying, as Dante Yu was able to edge out Nick Ramirez for the fast lap by just four thousandths of a second, posting a 48.014-second lap. The two showed the way in the opening heat race, with Ramirez at the point. The two made contact on final circuit, dropping down to the tail of the order, allowing Billy Musgrave to score the win with championship leader Nicky Hays right there. Musgrave continued to hold the top spot in Heat #2, leading all 10 laps ahead of Hays. Third was Michael Avansino, and the trio battled in the main event. The complexion of the race changed on lap 16 when contact took Musgrave and Hays out of contention. 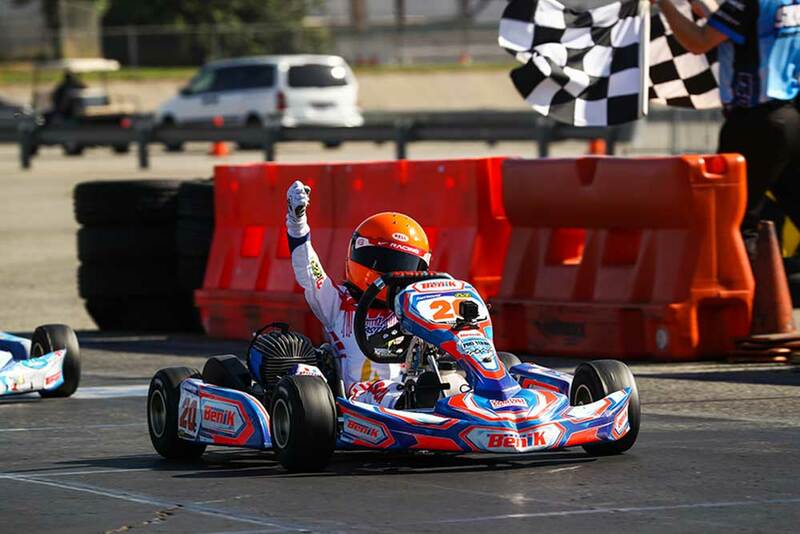 This gave Avansino the clear path to the checkered flag, earning his first series victory. Ramirez bounced back to finish runner-up, with Andrick Zeen completing the podium. Ethan Barrett was fourth with Yu climbing his way up to fifth from 25th after coming in underweight in Heat #2. 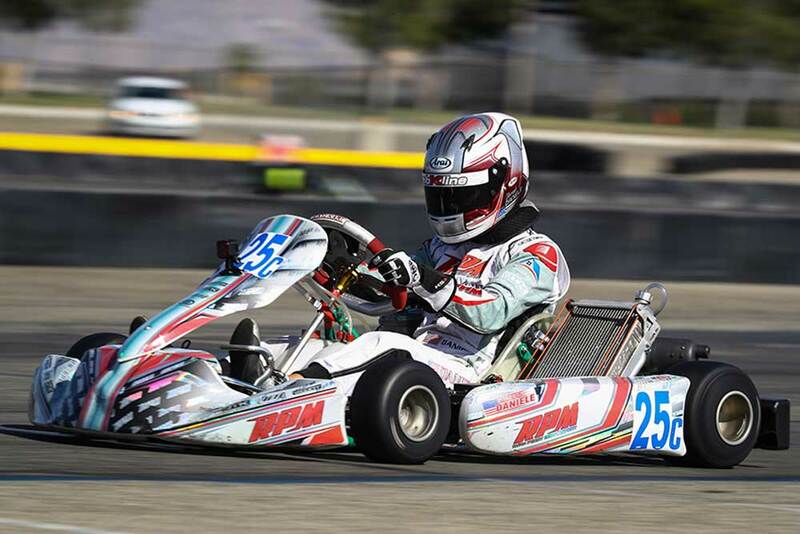 There was no question the odds were in the favor of former champ and current standings leader Billy Musgrave to win Vemme Kart S1 Pro Stock Honda in CalSpeed. Hunter Pickett was quick to throw in his name as a challenger, posting a 46.464-second lap to secure fast time in qualifying. Musgrave was a close second, back by 95 thousandths. Musgrave got the jump in Heat #1, leading all 10 laps for the win, duplicating the same results in Heat #2. Musgrave never put a wheel wrong, stretching out to a 1.1-second advantage in the 18-lap main event to record his third straight victory in 2017. Pickett ran runner-up the rest of the day, with Kolton Griffin joining them on the podium. SpringNationals winner Nic LeDuc was fourth, with Cody Hodgson making a return to the series with a top-five result. 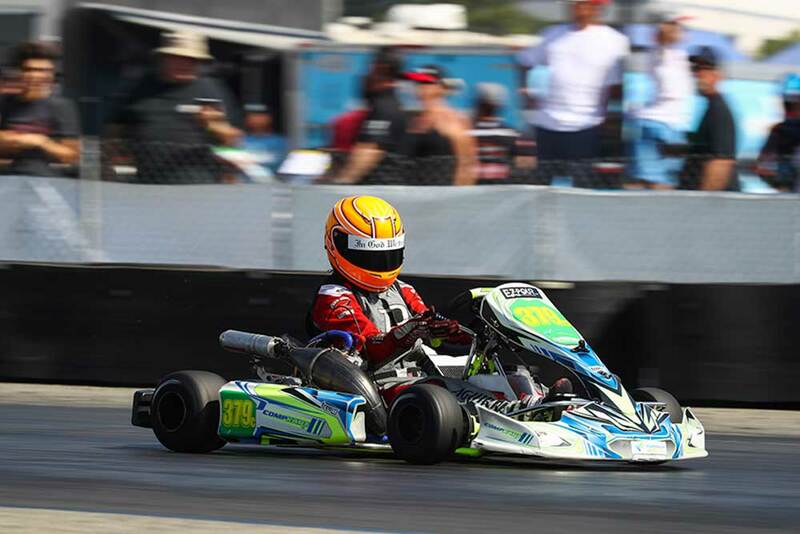 Thirty-one drivers made up the two categories of Mad Old Nut/Mad Croc USA S2 Semi-Pro Stock Honda and Nash Motorsportz S3 Novice Stock Honda, showing that the growth of shifterkart racing continues. S2 welcomed its third different winner to intensify the championship chase with Aaron Aguirre earning his first victory of 2017. Round One winner Kyle Wick set fast time in qualifying before leading all 10 laps of the opening heat. Aguirre got the jump on Wick to begin Heat #2, leading all 10 laps for the win. The main event was red flagged early for a wreck involving Robert Heck Jr. after the opening lap. While idle, Wick discovered a cracked rear hub, and did not restart. Aguirre maintained the top spot after the restart, leading the remaining laps to score the victory. Championship leader Jason Pettit moved himself to second, with Kol Bailey completing the podium in third. Josh Early and Dean Heldt rounded out the top-five. 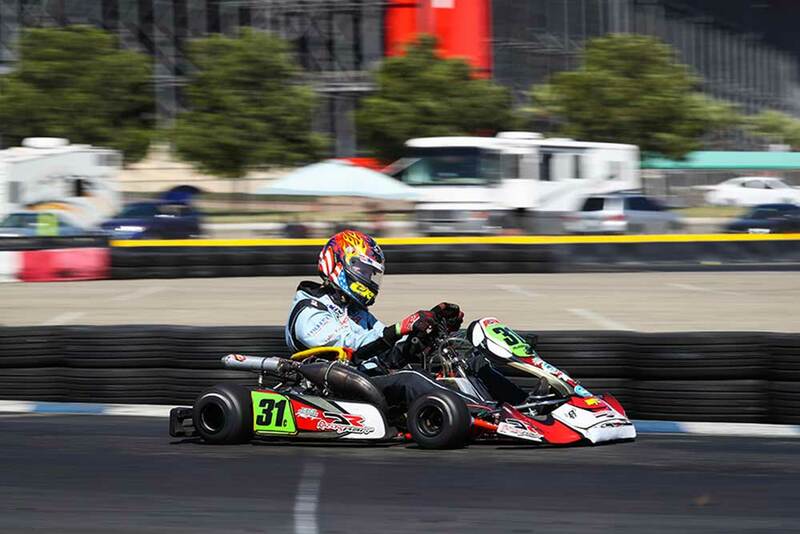 Keawn Tandon became the third different driver to stand on top of the podium in the 14-driver S3 division. It would have been a sweep, but a jump start penalty in Heat #2 cost him the win, giving it to Blake Dunkleberger. 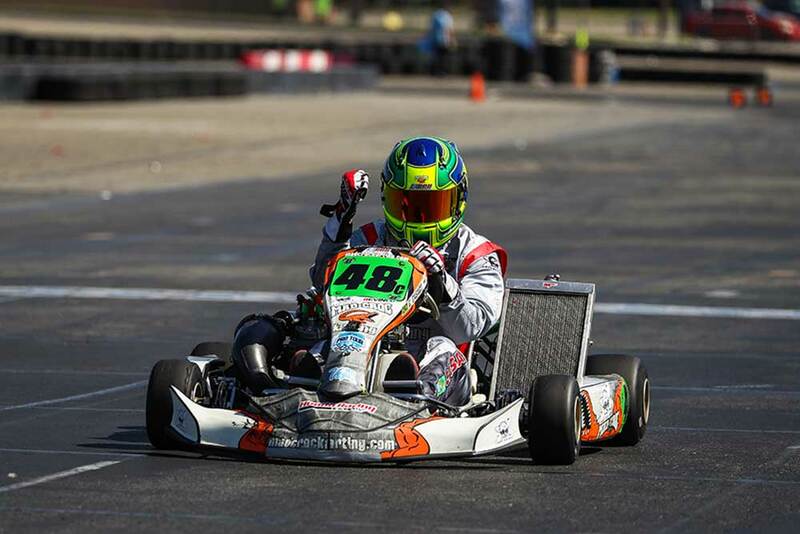 Tandon made up for it with the 2.3-second margin of victory for his first series victory. Dunkleberger ran second, with Prescott Campbell in third. Kent Hatada and Anthony Fontana made up the top-five. Eric Molinatti marked his return to SoCal with his first victory in the Phil Giebler Racing X30 Master category. The former LAKC champion was able to outrun former ProMoto Tour winner Travis Irving. 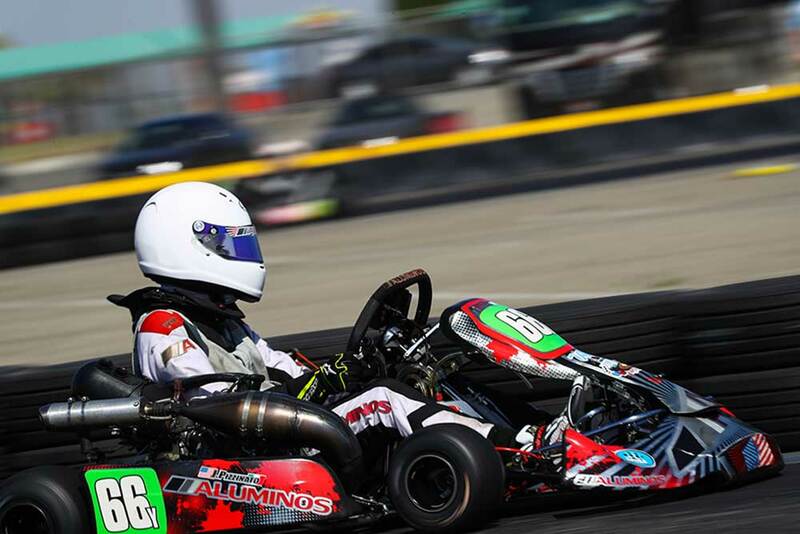 In qualifying and Heat #1, Irving set the pace – with Molinatti on the hunt. Four laps into the second heat, Molinatti pulled the trigger, taking over the point from Irving. Molinatti took the win, and continued that pace into the main event, leading all 18 laps for the victory. Irving settled for second, his best result on the season, with Round Two winner Jess Peterson in third and earning fast lap honors. Jonathan Silva and Diego Pelosi were fourth and fifth. 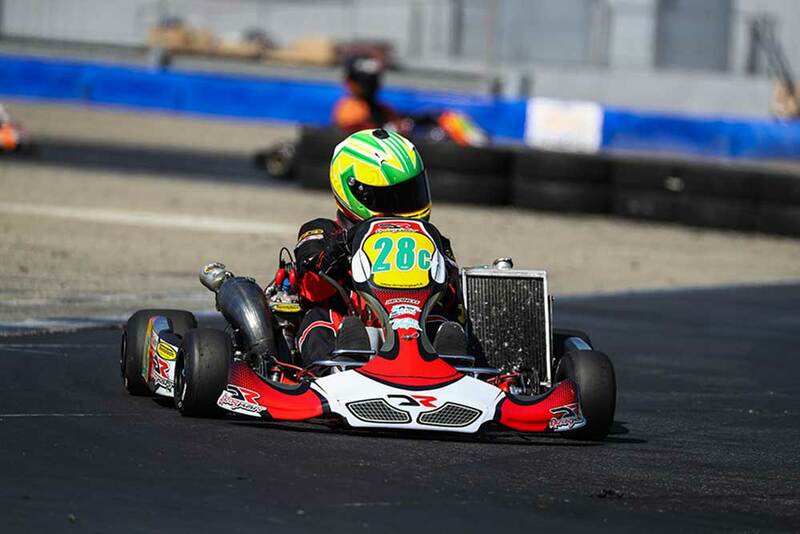 Gianfranco Casadei made the move from S2 to Mike Manning Karting S4 Master Stock Honda division for the CalSpeed weekend. It paid off with his first victory in the category. Casadei set fast time in qualifying before placing second to Rob Logan in Heat #1. Casadei struck back to take the win in Heat #2, then drove away to a five-second advantage for the main event victory. Logan was runner-up, with Robert Marks placing third. John Crow earned his first perfect score in the Musgrave Racing Company S4 Super Master Stock Honda category. Leading from qualifying to the final checkered, Crow earned maximum points for his third straight victory. Kalvin Chen placed runner-up, with Darrell Tunnell earning his first podium of the season. Streets of Lancaster GP winner Jonathon Allen was fourth and Warren Kindberg in fifth. 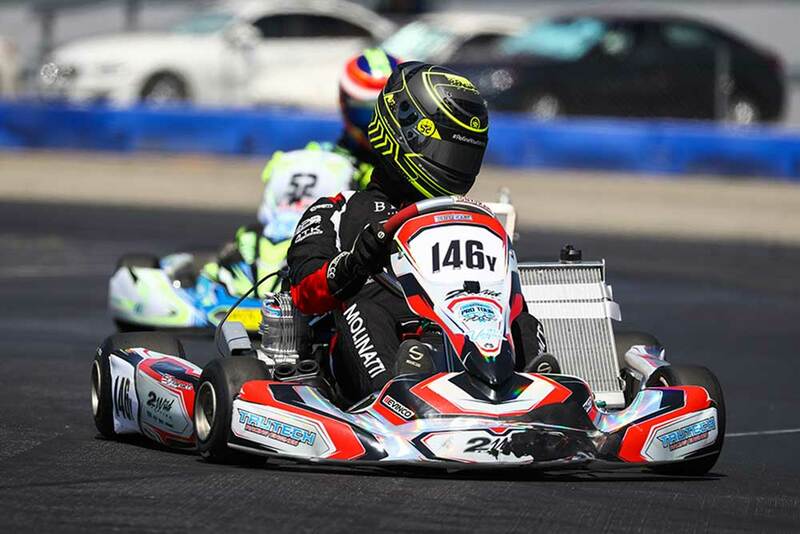 It was a tough beginning to the day for Joseph Daniele, but his hard work paid off in the end with the Ryan Perry Motorsport X30 Junior victory. Daniele qualified 12th in the 26-driver field, which saw Joey Brienza take the fast time. Brienza fought off Zoey Edenholm for the win in Heat #1, with Daniele improving up to fourth. Daniele was part of the big lead group, and took over the point on lap five, going on to win Heat #2 ahead of Colin Queen. 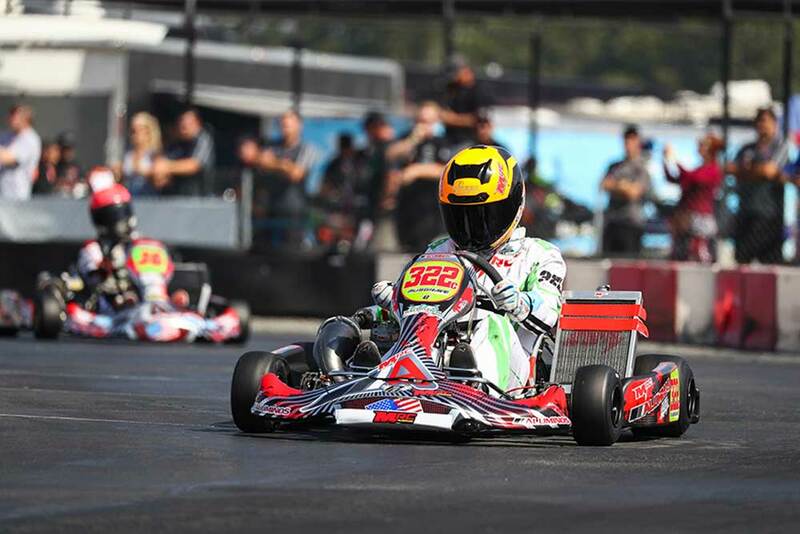 Championship leader Trey Brown joined the fight in the main event, taking the lead away from Daniele on lap three. Daniele retook the position, and was able to maintain the top spot to the checkered flag for his first victory of 2017. Alex Siragusa climbed up to second for his first podium on the year, with Edenholm jumping up to third. Brown was shuffled back to fourth with Queen ending up fifth. Jacopo Pizzinato was the lone driver in the Rolison Performance Group S5 Junior Stock Honda category. The day belonged to the Morgan brothers in the Outsource Utility Contractor Corporation Mini Swift class. Carson Morgan earned his first victory of the season, while brother Cole ran runner-up for a Morgan 1-2. Carson set fast time in qualifying and won Heat #1. Cole jumped ahead in Heat #2 for the win, while the two ran away in the main event. The duo traded the lead four times, with Carson coming out on top – while Cole earned his second straight runner-up finish. 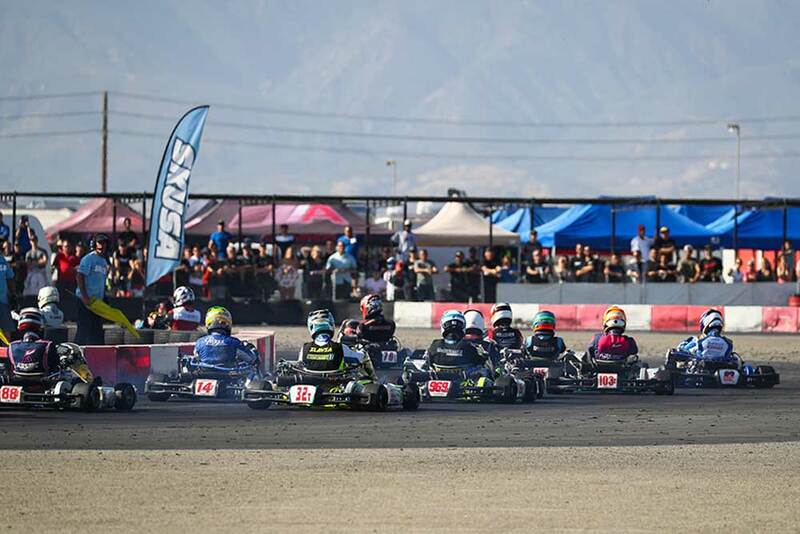 The fight for third went down to the wire, with Aden Dodge earning the spot ahead of Josh Pierson and Jesus Vasquez Jr.
Dane Idelson won in thrilling fashion to claim his first trip to the top of the podium steps in PKS Kart Supplies Micro Swift. Idelson ran third in the late stages of the main event after recording the fast lap of the race, trailing top qualifier Logan Toke and Ethan Nascimento. On the final circuit, in the final corner, Nascimento was leading with Toke making a move for the lead to the inside. Both drivers drifted wide, allowing Idelson to slip through for the lead and the victory. Nascimento won the race to the line for second over Toke, while Ian Aguilera and Austin Manka made up the top-five. 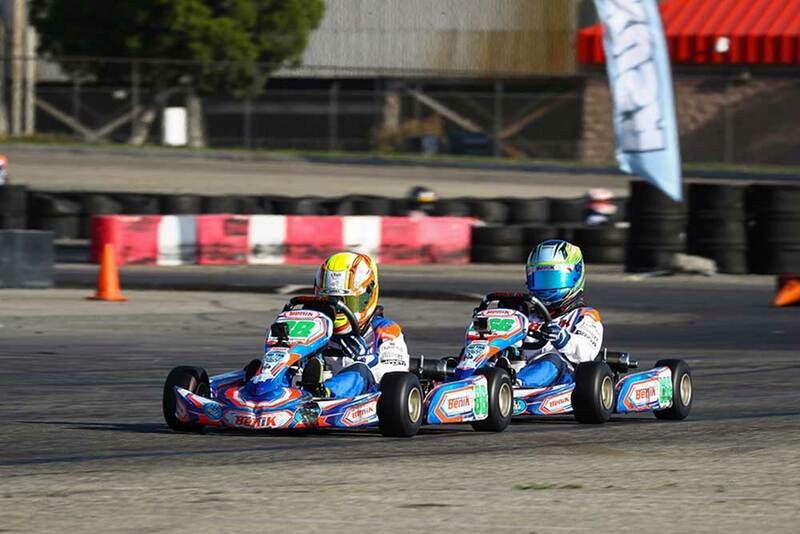 A month from now, the California ProKart Challenge returns to action following the Fourth of July holiday, traveling up to the Santa Maria Kart Track for Round Four of the 2017 program on July 7-8.